Benefit from award winning customer service and an outstanding range of office supplies, technology and furniture when you choose Office Max in Crestwood, IL, for all of your office requirements. 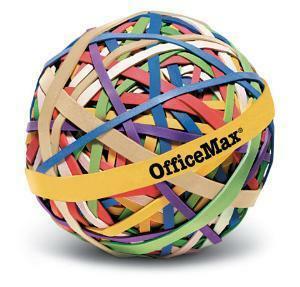 At Office Max in Crestwood, IL, we supply and distribute a huge range of office supplies and equipment. Paper, inks and toners, computer equipment, printers, everyday office essentials and stylish office furniture, all at great value prices. Getting your business organized has never been easier with our one stop shop catering to all of your requirements, whether you’re a home office entrepreneur or working in a large corporation. We have over 40 years experience in this field and we pride ourselves on our outstanding reputation for customer service. Our well planned and well laid out stores make it easy to find what you need and there is always plenty of friendly advice on hand to ensure you get the products which are right for you. With reasonable prices, an extensive range of products and a promise of quality every time, choose Office Max, the industry experts for office supplies.